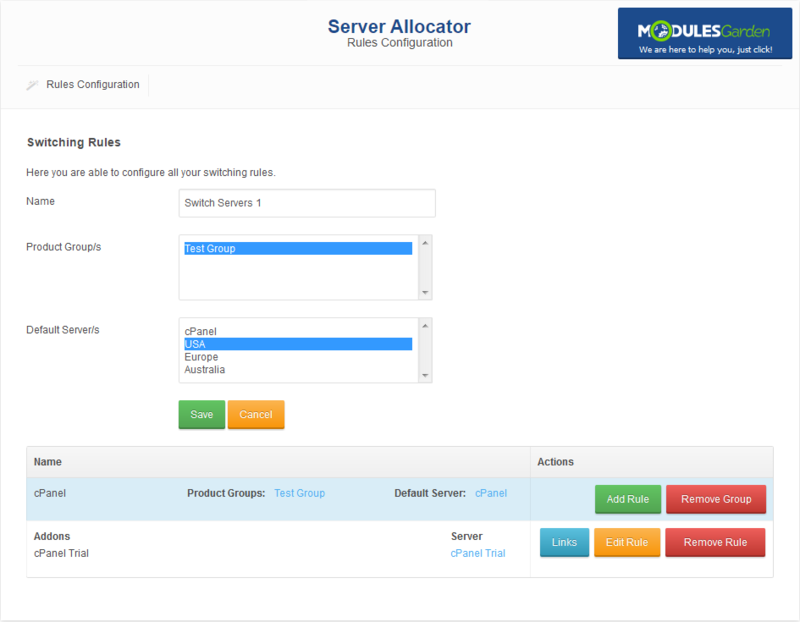 Server Allocator For WHMCS will automatically match the most suitable servers to your clients' products when placing orders in your system. The module will let you create and configure your own switching rules, split them into groups, and assign servers and product groups to them. 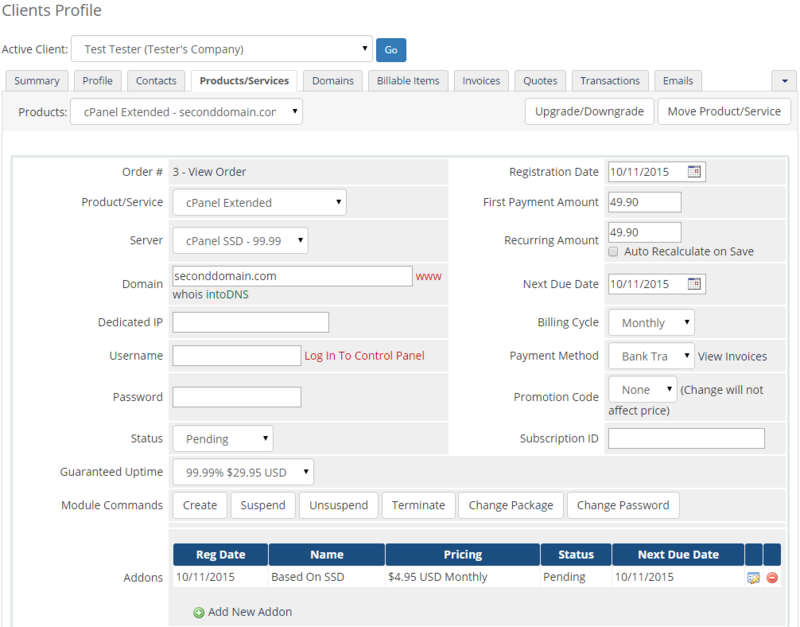 Each rule is based on chosen configurable options, product addons and custom fields. 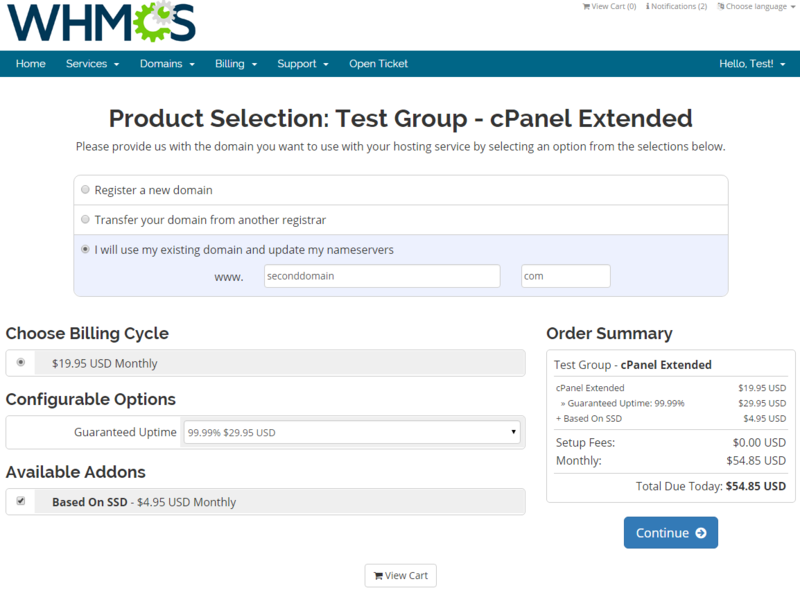 This way you will be able to assign the products of your clients to different servers according to options and values chosen by them while ordering. These can be preferred location, required disk space, number of CPUs and many more. The possibilities of server assigning rules are endless and limited only by your imagination. With our module, a client who orders a product with e.g. an additional addon can be assigned to a different server than a client ordering the same product but without the addon. You will be able to freely mix and combine the rules to allow your customers order personalized products created on the most suitable servers. What is more, you will be enabled to create preconfigured products and share the links to them with your clients! 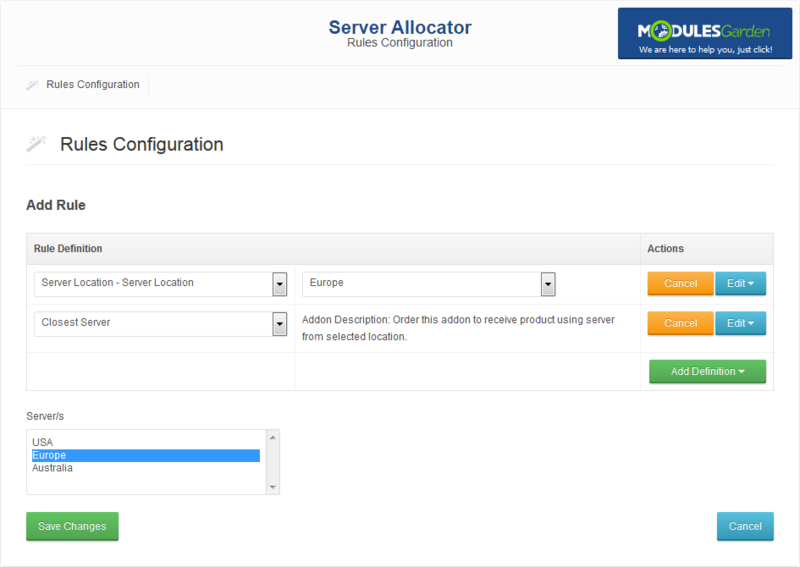 Server Allocator For WHMCS will create a win-win situation for both you and your clients. Order our module today to maintain full control over your server infrastructure and meet even the most picky expectations of your customers. Server Allocator was simple to set up, and works perfectly. We are now able to offer a choice of regions on our signup form, and the Server Allocator plugin seamlessly selects the relevant server group on which to provision the account. Highly recommended. 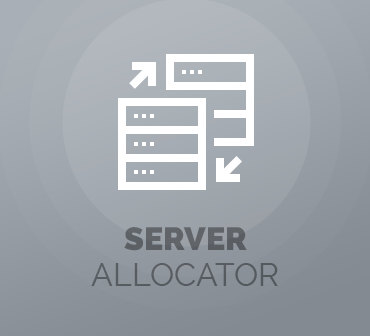 Server Allocator works wonders for us as it allows us to automate our ordering process. Being a brand that has a global presence and over 8 locations offerred over our brands and services. Server Allocator makes the order process for location selection streamlined and simple for our team and our end customers. Enable automatic provisioning of Droplets and let your clients remotely toggle their power, shut down or rebuild the machine, create and restore snapshots, and more. Provision customized web hosting accounts through WHMCS in an automated way and allow your clients to remotely manage their FTP accounts, install applications and more.